Hey Gang! Travis back...Well, of all of the possible Tampa Bay tours that I could have taken today, I created one for myself that took me all over the Tampa Bay area! We are in the process of taping a tourism video (you&apos;ll hear much more about this later) and to get all of the interviews we needed, myself and a cameraman (thanks for your help Phil) ventured all over the area. 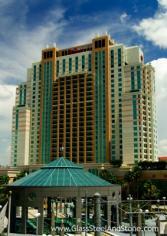 We started off the day at the Tampa Marriott Waterside Hotel & Marina. Everytime I go in to this place I get more and more amazed! Plus, it&apos;s right on the water (hence the Marina part of the name), so what more could you ask for. Then, we went over to the Tampa Convention Center and spoke with some of the best front-line service folks I&apos;ve ever met. So, if you need to have your meeting somewhere, this is a great choice. Then, we went out to everyone&apos;s favorite theme park, busch gardens! We got to talk to several people, including some shop employees and even some folks in the shows out there...very interesting people to say the least. 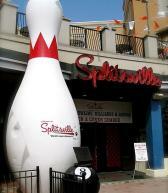 Our last venue of the day was Splitsville at channelside. I love going to this place whenever I can. When it comes to Tampa Bay area events, these people put on a great show. PLUS, they have some awesome people working there. So that gives you an idea of some of the places that&apos;ll be in our video, but it also gives you some great ideas to enjoy this weekend. So get out there and have a great time making one of your own Tampa Bay tours! Until next time, keep checking back for more Tampa Tourism information!